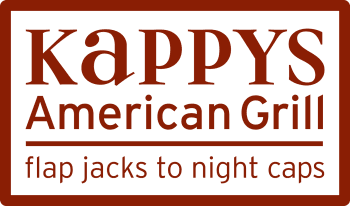 Getting a table at Kappy’s Restaurant & Pancake House might get a little more difficult. With its 32-year anniversary just few weeks away, Kappy’s was recently named one the top 75 breakfast spots in Chicago by Chicago Magazine. The very same article also recognized Kappy’s as the best place to get a plate of salami scrambled. Patrons can order their salami cut into small square chunks, thick pepperoni-like slices, or some get the entire egg and salami plate flattened into a pancake. Alpogianis said Kappy’s had a strong local foundation until a March 9, 2001 Chicago Tribune article made the family-owned restaurant a regional destination. The article named Kappy’s one of the top 10 breakfast houses in Chicago. 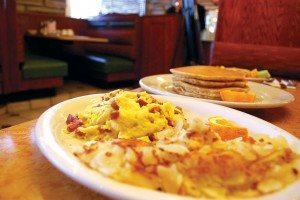 Five years late, the Tribune once again featured Kappy’s, naming it a top senior-friendly breakfast spot. Kappy’s was one of 10 suburban restaurants listed among the top 75. Other nearby restaurants on the list include The Bagel Restaurant and Deli in Skokie, Gail’s Carriage Inn & Pancake House in Des Plaines, Dixie Kitchen & Bait Shop in Evanston, Lucky Platter in Evanston and Walker Bros. Original Pancake House in Wilmette. Alpogianis said the restaurant community is rather small and that he knows and has worked with people from plenty of the other restaurants on the article’s list. When it comes to the food, Alpogianis said times have changed and networking now helps a kitchen maintain loyalty among its customers. The number one reason why Kappy’s is so successful, Alpogianis said, is because everyone is treated like family. He said that was the most important lesson his father told him when ownership was handed down. Alpogianis said John McCain, Donna Mills and Harrison Ford have stopped by Kappy’s at various times in the past 15 years, but the more important customers are those who come in regularly and share their lives with the restaurant staff. Customer traffic has increased since the article came out, however, Alpogianis said he’s more than happy to expand his family.